The best, or busiest, intersection in Washington D.C. is at H and 7th Streets NW, in the heart of Chinatown - at least according to those with vested interests therein. With four corners available to capitalize on the heavy traffic, only one corner remains open to incoming retailers. But it'll cost 'em. 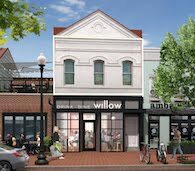 The lofty asking price for the ground floor of the future mixed-use site at 675 H St NW is just one indication that retail around the city is in high demand as retailers vie for limited retail space and rents around the city rise quickly, sometimes dramatically. The joint-venture in control of leasing the retail space, as well as developing the site, is McCaffery Interests Inc. and Douglas Development, which obtained the property at auction in February. According to Juan Cameron, Managing Director of McCaffery, "The site commands a strong asking price." 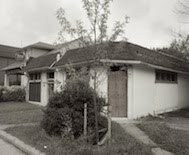 That price has been relayed, by several sources, as asking $250-$300 per square foot. Cameron, who declined to speak on the record about price points, acknowledged that the space will "be on the high side" and asserts that the companies are "looking to set a new benchmark," but won't divulge specifics while leasing is underway. However, Cameron added that "the site has generated a considerable amount of interest." John Asadoorian, founder and head of Asadoorian Retail Solutions, confirmed having heard an asking price around $250 p.s.f. for the corner spot, which is adjacent to the Friendship Arch/Chinatown Gate, a one-block stumble away from a Caps game at the Verizon Center. 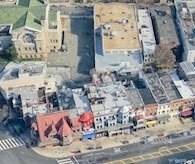 Asadoorian did not speak to the feasibility of the high asking price at 7th and H, however agreed with site developers that the intersection is the closest D.C. has to New York's Times Square. Fuddruckers, located on the intersection's opposite southwest corner, struck a deal early in the decade for about $80 p.s.f., a price that raised eyebrows then, before the substantial investment in Chinatown in 2006. Asadoorian notes that although retail rates have been rising in the few years following the recession, the jump in price at this location is relatively the largest. Whereas Georgetown leases have generally increased by around $50 p.s.f. in the last 10 or 15 years, the jump in price at Chinatown would be double that, and in less than half the time. The increase in price underscores the fact that D.C. is fast becoming a vibrant spot for unique retail, as well as a foodie destination and Food Network-inspired hot spot, with a proliferation of national restaurateurs and chefs - even a barrage of food trucks. It remains to be seen whether retailers will pay $250 to $300 p.s.f. 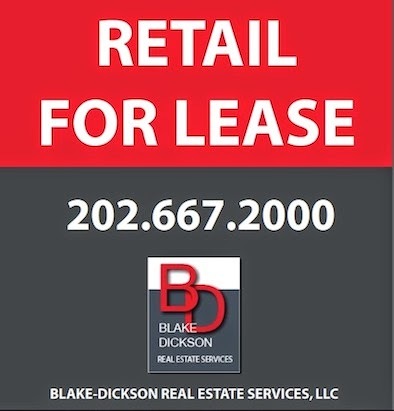 for prime real estate in the District, but it's visible that the pace of retail space being leased is picking up. 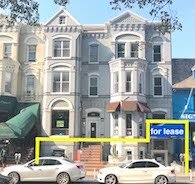 The five-to-six blocks along 14th Street, NW between the U Street Corridor and P Street is witness to a similar retail surge, and the retail space here is "practically all leased up," tells Asadoorian. Steve Gaudio, JBG Rosenfeld's leasing manager for the District Condos at 14th and S Streets, said the 18,000 s.f. of ground-floor retail at the 125-unit complex is already entirely leased up, and construction is only recently underway. Although Gaudio won't talk shop on pricing for the retail space, JBG, which is about to start Utopia a few blocks north, and the Atlantic Plumbing site, and is already mentioning higher retail rents than the $40-$50 p.s.f. rates that have prevailed in the area recently. To return to Chinatown, if the final price for retail at 675 H Street is anywhere near $300 p.s.f., then the site will secure the highest per square foot retail lease in the District; higher than Georgetown, which commands $100 to $120 p.s.f. for similar-sized retail space, and higher than Union Station, which is currently the highest in the city, up to $200 p.s.f. That, in turn, may get the attention of property owners around the city, who may get even bolder with the prices they expect. Really, Douglas overpricing. 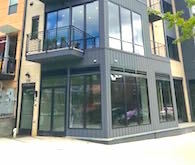 Let's just hope the place gets taxed as vacant when they don't pick up a tenant w/in 6mo. 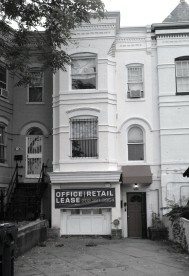 Has DC ever taxed a vacant retail space?! The landbanking for top dollar is baffling to me. I'm not in commercial real estate but I am a landlord and I fail to see how it is cost effective to sit so many empty places. There has to be some pressure to fill them. all this empty blight is terrible for safety. 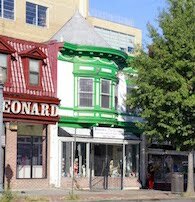 Don't tell H Street landlords or things will continue to sit vacant while they await the mythical "top dollar." Landlords need to come back down to reality. Customers are not spending! The economy is still very bad but they don't care. All they need is to get someone to sign a lease with ridculous terms. So long as they get their money they don't care if the business succeeds in that space. Is anyone ever going to stand up to these greedy landlords?